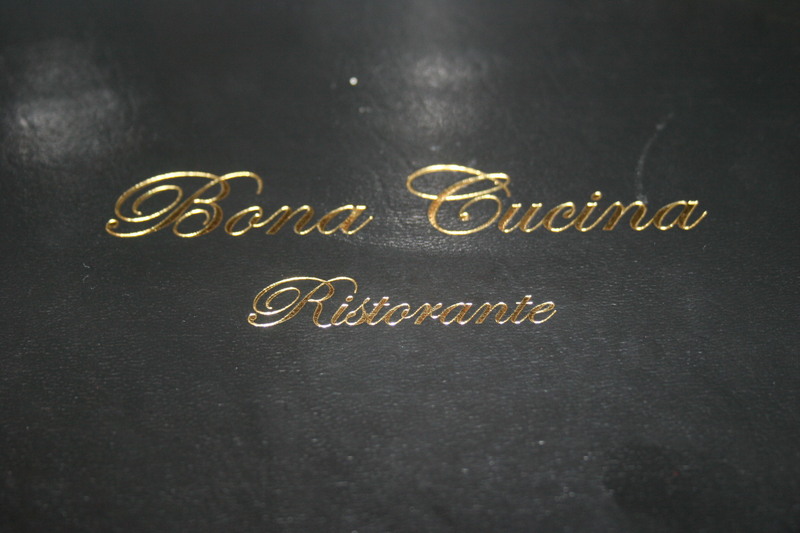 Bona Cucina, the little Italian gem hidden away in Upper Darby, is not the same place without the sassy Frankie, waitress and wife of the Chef, in residence. So it was on this cold 1st day of February that my friend, Frank D., and I dined here and discovered that Frankie had the night off. Her absence may have deterred from the overall ambiance, but the food was just as good as ever. We shared a bottle of 2008 Pillar Box Reserve. 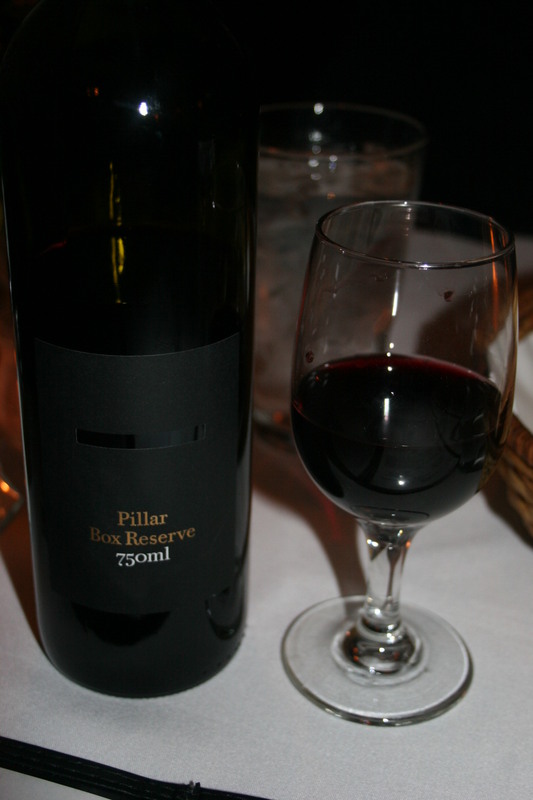 This wine with the black label is the big brother of one of my favorite value wines, the Pillar Box Red. This one is in the $20.00 range and well deserves its 91 point score from the Wine Advocate. Inky black, with hints of tobacco and spices on the nose, the dark berry fruit and notes of leather are well-balanced and soft on the palate. I think I still feel the “red” Pillar Box is a better value when you can catch it on sale. Frank and I caught up on what had been happening since our last dinner while we looked over the menu that we virtually know by heart. 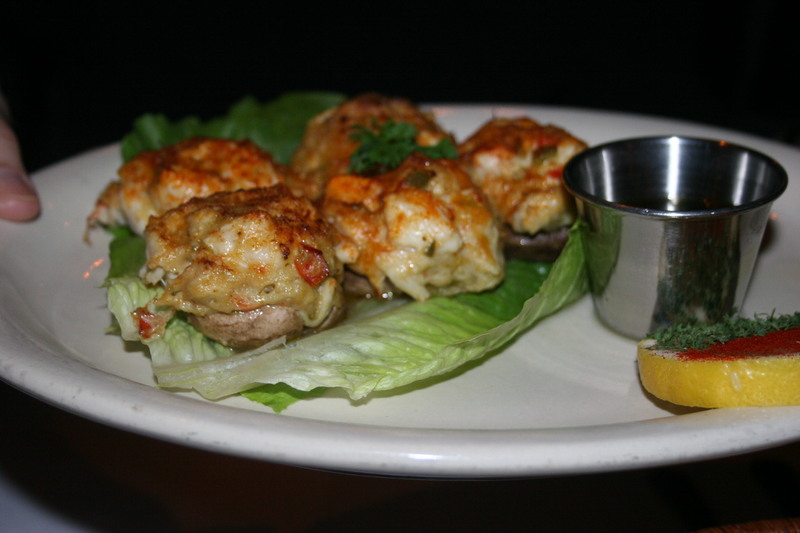 Frank selected as his appetizer, the Portobello mushrooms stuffed with crab meat. Five huge portions appeared and were gone in no time. He didn’t think he would be able to finish them and almost made me promise to take at least one even though I detest mushrooms. Once he started eating though, he had no problem devouring all of them. Quite honestly, I don’t think I would have been in any position to help him as I was in food nirvana with each spoonful of my Seafood Chowder. 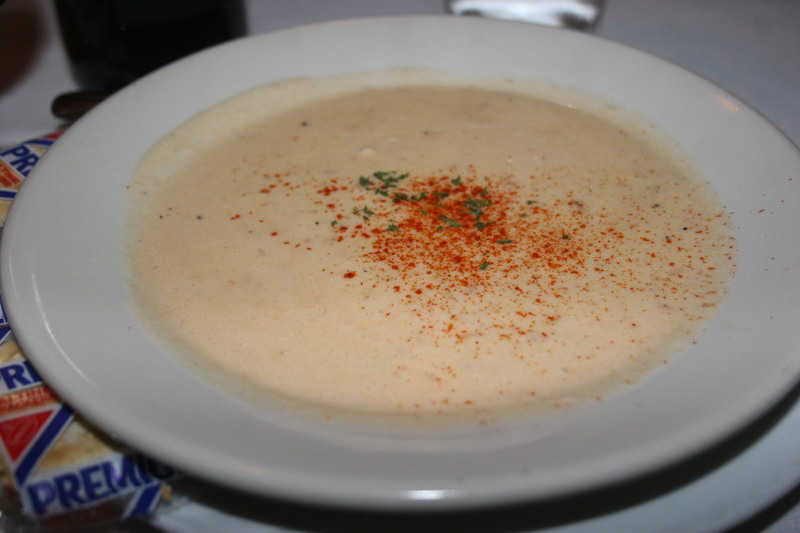 Something this good deserves a better, more exotic name than simply “seafood chowder”. It was absolutely delicious. I had our server ask the chef what was in it and she returned and told me “seafood”. My fault for asking dumb questions. 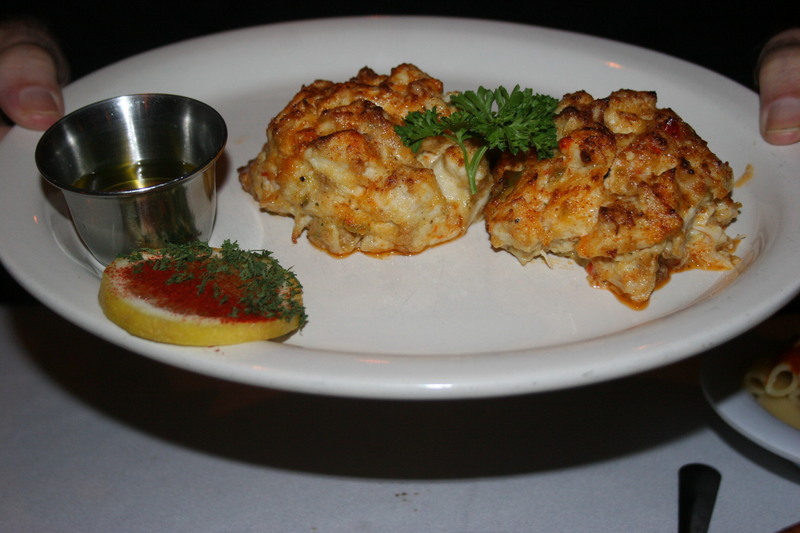 Frank ordered the twin crab cakes, which he has done in the past, and I know he feels they may be the best around. There certainly isn’t much filler in these two perfectly baked mounds of rich, succulent crab and most of our conversation came to a screeching halt as we gave all of our attention to our dinners. I almost went with the orange roughy from the list of evening “specials” but I gave in to the very same temptation that I always succumb to when dining at Bona Cucina and went with the Chicken Celeste. 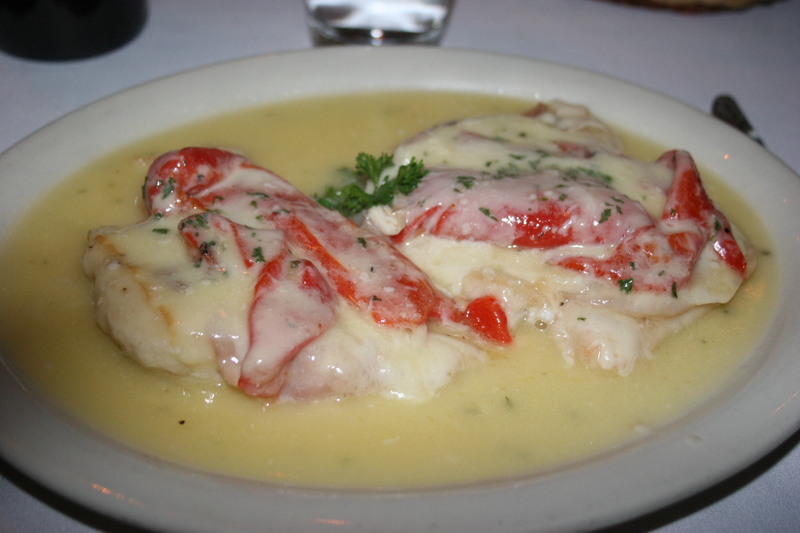 Two very generous and perfectly cooked chicken breasts in a wonderful cream sauce with peppers and melted mozzarella. Just as good as ever, and enough to take home some for another dinner for the following night. It may be that a wine of somewhat less body would have provided a better companion piece to our meal but that’s not really a complaint. Once again, Bona Cucina, even without the help of Frankie, proved it’s a great spot for a memorable meal.